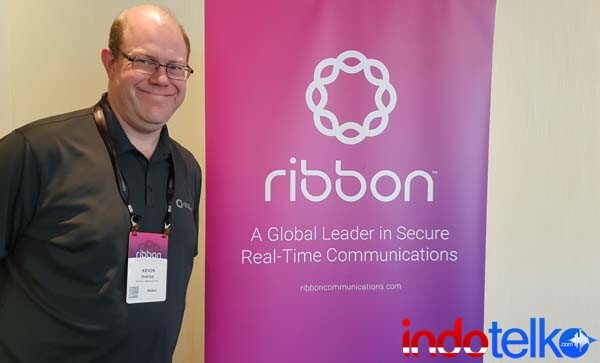 SINGAPORE (IndoTelko) - Ribbon Communications Inc. (Ribbon) announced the general availability of its Session Border Controller (SBC) Software edition Lite (SWe Lite) in the Microsoft Azure Marketplace. The SWe Lite is a virtualized enterprise SBC that delivers small and mid-sized businesses (SMBs) cost-effective, advanced Unified Communications (UC), collaboration and security capabilities, now from the Azure Marketplace. In addition, Ribbon's SBC SWe Lite delivers high-performance and capacity in Microsoft Hyper-V and is one of a select few solutions that is fully certified to deliver secure voice services for Microsoft Teams Direct Routing and Skype for Business. "Making our SBC SWe Lite available in the Microsoft Azure Marketplace not only is another major step forward in our cloud investment strategy, but more importantly it helps our customers evolve their communications capabilities to the cloud quickly and conveniently," said Kevin Riley, Chief Technology Officer for Ribbon. "In addition to being very intuitive and easy to deploy, our certified Microsoft solution provides advanced voice, media and security at what we believe will be lower Azure virtual machine costs when compared to alternative solutions in the market." "Through Microsoft Azure Marketplace, customers around the world can easily find, buy, and deploy partner solutions they can trust, all certified and optimized to run on Azure," said Sajan Parihar, Director, Microsoft Azure Platform at Microsoft Corp. "We're happy to welcome Ribbon's Session Border Controller SWe Lite to the growing Azure Marketplace ecosystem."